Before the Gingerbread Castle was envisioned, the site of the castle was important for several reasons. 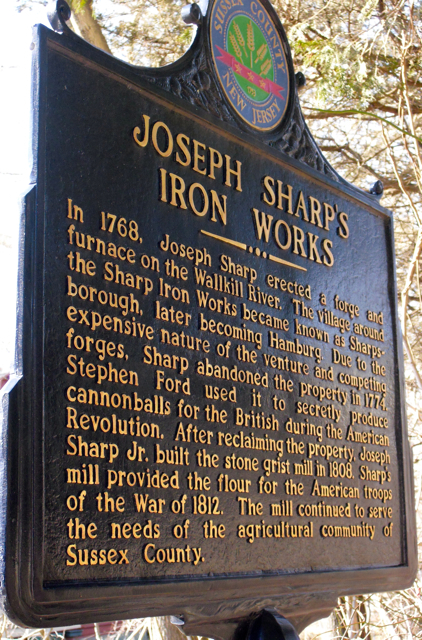 It was one of the states early industrial locations, as home to Joseph Sharp’s Iron Works which dated back to 1768. 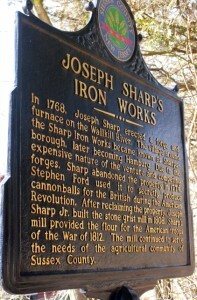 A plaque at the location marks the significance of this in Hamburg’s history and the area is known as the Wheatsworth Mill / Gingerbread Castle Historic District.